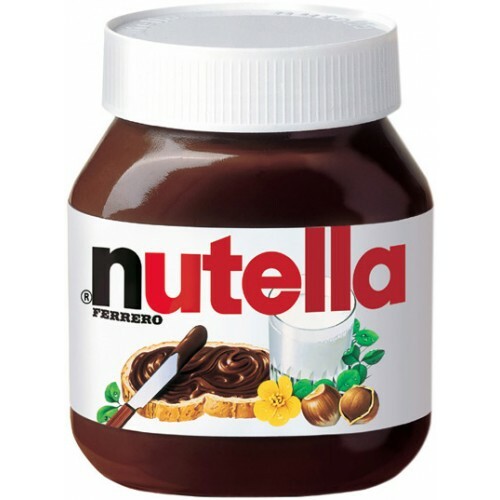 Ferrero Nutella is the first nut-nougat cream of sweet bread spreads on the market today. The taste is not too sweet and the cream tastes great chocolatey and nutty. Herbal ingredients such as hazelnuts and cocoa and skim milk have the best of Nutella and it became favourite for children, adolescents and adults. Sugar, Vegetable oil, Hazelnuts (13%), fat-reduced cocoa (7.4%), skimmed milk powder (6.6%), whey powder, emulsifier : lecithins (soya), vanillin. 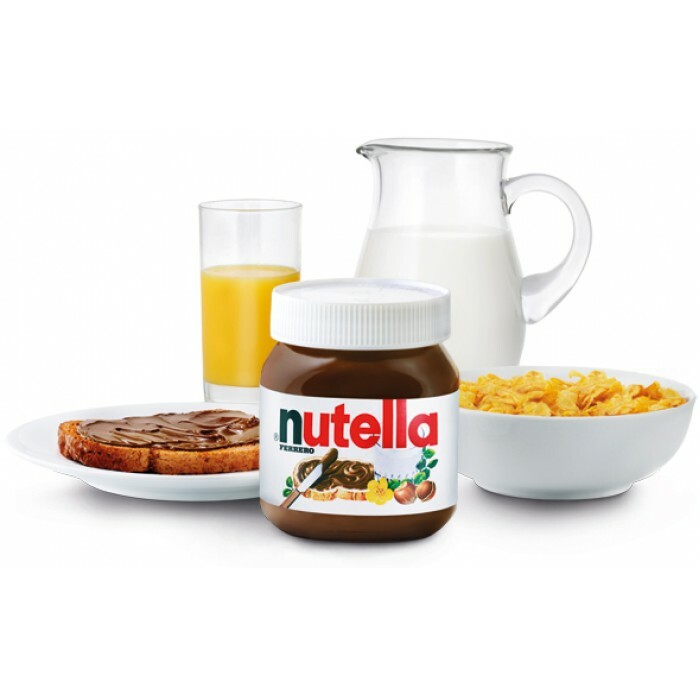 Ferrero Nutella is the first nut-nougat cream of sweet bread spreads on the market today. 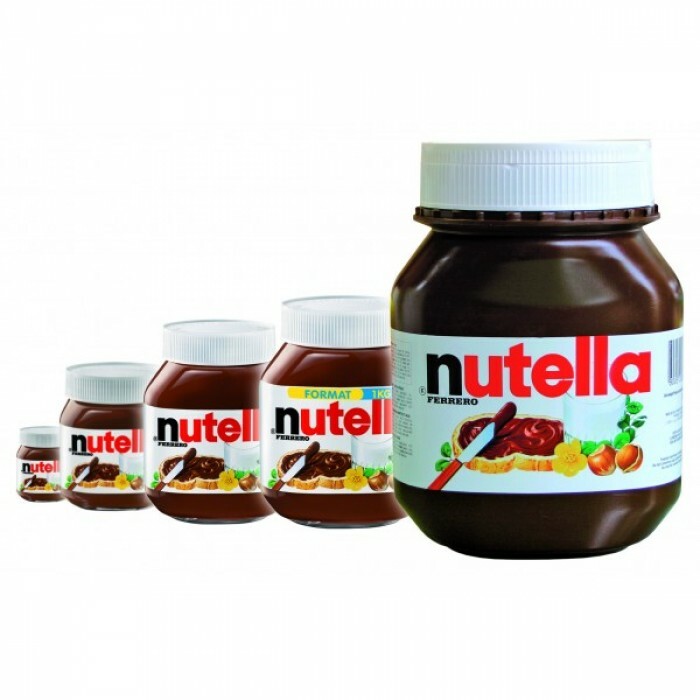 The tas..
Ferrero Nutella World Jar 630g - 21x30g of you favorite nutella mini jars in nice, big plastic ja..
Ferrero Nutella Apparel 750g - a jar full of your favorite Nutella hazelnut spread, now all dress..
Ferrero Nutella Ultimate Kit 180g - a jar-shaped tin containing a 180g pot of Nutella spread, a s..
Ferrero Nutella Dedicated Gift Box 350g - the new "Say it with NUTELLA" gift boxes, inspired by p..
Ferrero Nutella Display 64x30g“Nutella Hello World” engages the shopper in a new experience of br..
Svila Тrading Ltd is an experienced wholesale partner and distributor for a broad range of branded European Fast Moving Consumer Goods. Our main activity is exporting a complete range of food products to wholesalers, importers big retails chains, hotels & restaurants in Europe, Middle East, North Africa, former Soviet Union countries, Latin America, USA and Far East.